What site has Dr. Yahnke’s article? Do you have a link to the Yahnke paper? Google gave me nil. If you go back to the original article, you will find that I made it a live link. or you can go to http://doxology.us and look it up under “Resources”. 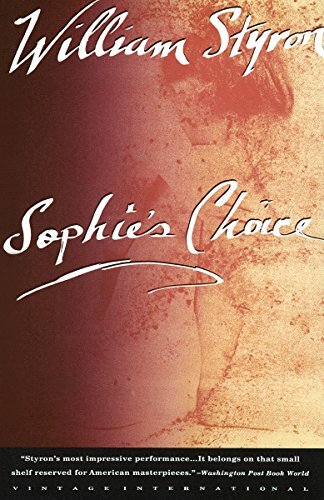 I saw the pertinent clip from the movie, Sophie’s Choice, and that alone was wrenching enough. As a mother of two, I can say it would be agonizing. I think my only comment would be that God does not always take all the darkness away in this lifetime, which can be an important thing to remember in these “health and wealth” times we live in. On the other hand, as you said, faith in Jesus and life eternal beyond this present darkness is the only thing that can save us from despair. I remember seeing part of the movie with Meryl Streep. It was very very striking. I had to go somewhere, so couldn’t watch all of it, but the scene where she they force her to pick one child to live was haunting. I still think of it years later. Regarding Bev Yahnke’s article: she says to “keep vigil” with the hurting person. What is a pastor supposed to do when he has several people who need huge amounts of his time? No one I ever talked with has talked about despair like the Jahnke article. Its so true and its Christian and it has compassion for people who have suffered. She tells it like it is and pastors and doctors alike should read it. >>She tells it like it is and pastors and doctors alike should read it.< < In the paragraph prior to the conclusion, it sounds like Mrs Yahnke is implying that there is a situation when pastors must break the seal of the confessional. Thank you for the article. It has some good things in it. There were also some things I disagree with and where I think she misses the mark. But, bless her! She comes a lot closer than many people do!